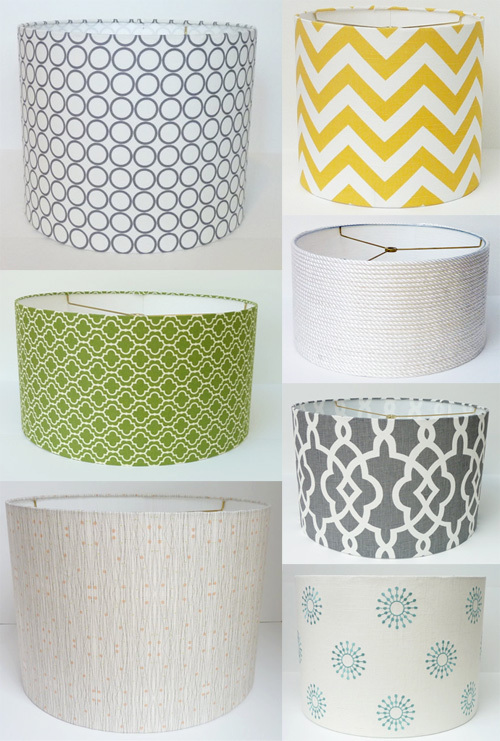 Dana Quist of Norfolk, Virginia loves lampshades. So much so, she's learned to make them from scratch. As she shares, "I covered my first lampshade when I was decorating my daughter's nursery and ever since I have been obsessed." I love a good pattern and Dana certainly knows a good fabric when she sees it. 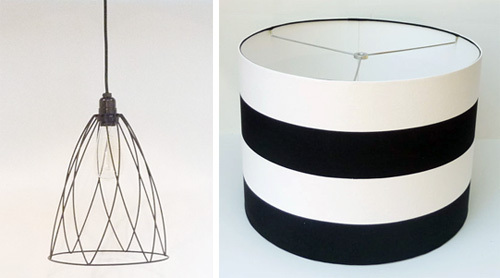 This modern drum shade is 18" in diameter and 10" tall, but she'll make one any size you like. And I like how she is venturing into the industrial look as well. Find Dana's simply red pendant here. I never thought I'd like the color gold in my home but I have to say, I'm really liking this gold wire pendant. With the right decor, in the right room, this wan work beautifully. 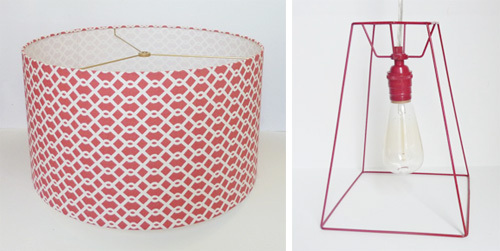 Find more of Dana's work on her Etsy shop, Lamp Shade Designs.